EMAIL TO BOOK A FREE TRIAL CLASS NOW or ENROL AND THE FIRST LESSON IS FREE WHEN YOU Mention NSM. At AMS learning music is fun! Children come into the world with an innate love of music and Australian Music Schools fosters and develops the musicality within all children. 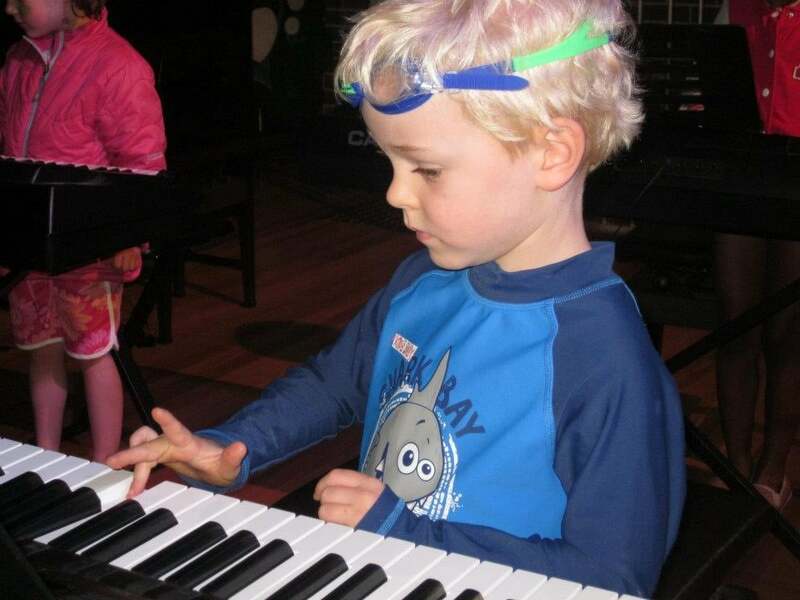 AMS has music courses for everyone from age three. 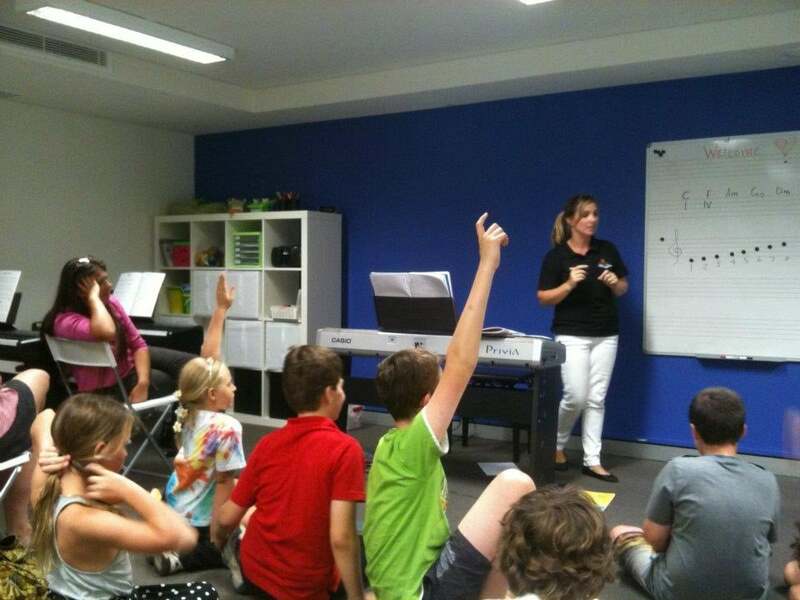 An ideal preparation for piano is the MINI MUSOS course. The JUNIOR course provides intellectual stimulation, development of fine motor skills and auditory skills and learning the keyboard/piano in a fun class! The SUPER STARTER course is for older children and adults. Our carefully formulated curriculum is all Australian. Our highly qualified teachers are especially selected and trained. Our courses lead to optional AMEB exams. More details can be found on our website. Please email for more information. Mention North Shore Mums for a free class when you enrol! When I learned of the opportunity to review a music class (piano) for my young son, I didn’t hesitate to put my hand up. The main reason for this (and public disclaimer) – I am not a muso, much to my regret. Unfortunately, I wasn’t interested in music as much as other extracurricular activities as a child and was never actually encouraged to give it a try. As a result, I was determined that when my children were old enough, I would introduce them to music – encourage them to see what happens. We are now on that path and I’m sure there will be some homegrown music in our house one day! When my son and I arrived at the Australian Music Schools (AMS) at Gordon for the Junior Starter Class we were welcomed by a fabulous play area in the waiting room. For anyone with a boisterous four- or five-year-old, you would know the anxiety that comes with a four-walled bare waiting room! I internalised a big sigh of relief to see boxes of Duplo/Lego and other toys, indicative of the colour, excitement and activity of the class ahead. Reef didn’t get to play for long, though. Julie Hare, the director of AMS Gordon, soon came to greet us with infectious enthusiasm about music and the teaching methods she employs at her school. Julie went on to explain that she and her teachers teach music the same way that children learn to read. She said children learn to speak from listening to us and then go on to read those words three or four years later. At AMS, her students hear the music, then sing it, then play it and then finally learn to read the music. This was music to my ears as a musically impaired adult – there would be no music books to rote learn and actually learning to read music would come as a natural progression from hearing and experiencing the sounds. Julie tells me this is the first step in developing perfect pitch, something quite rare and near impossible to develop from learning music from a book. It felt like I would be learning right along side my son and we would be able to encourage each other together. By this stage I was itching to get started on my son’s first music class, and mine, too! Miss Corrina was our teacher, again very enthusiastic and engaging, and a little bit strict (which I was secretly hoping for as my five-year-old son doesn’t always listen!). She spoke to us about care of the keyboard, sitting posture and how to place our hands on the keyboard (like a spider, not a pointer finger). Straightaway she started playing her piano and the class was off at full pace with an inclusive welcoming song. Miss Corrina didn’t dilly dally with instruction and, as she sang and played, all the children as if by magic sang and repeated the notes and words back to her. It made me realise that we all really do have music within us and it doesn’t take much to ignite the interest and intuition. AMS have tapped into that magic and it is a delight to watch and experience it. I could go on writing for hours about the cute songs we sang, how much I was delighted that my son was enjoying himself, how inclusive and engaging the class was, how the children started recognising and writing music notes, and the brightly coloured kids’ music books and CD to take home, but I’m sure you get the gist that I was enthralled and very excited to be starting music classes at Australian Music Schools Gordon. ¥	Your child will need to have daily access to a keyboard/piano to practise what they have learnt in class. ¥	All students take part in class concerts. ¥	The Junior Starter class for four-year-olds runs for six months, one class a week and progresses to Junior Course for Kindergarten and Year 1. ¥	AMS offers classes to students from two years of age. It also offers Adult Music classes and Learn to Sing classes. AMS has its own YouTube channel to help your child practise at home.